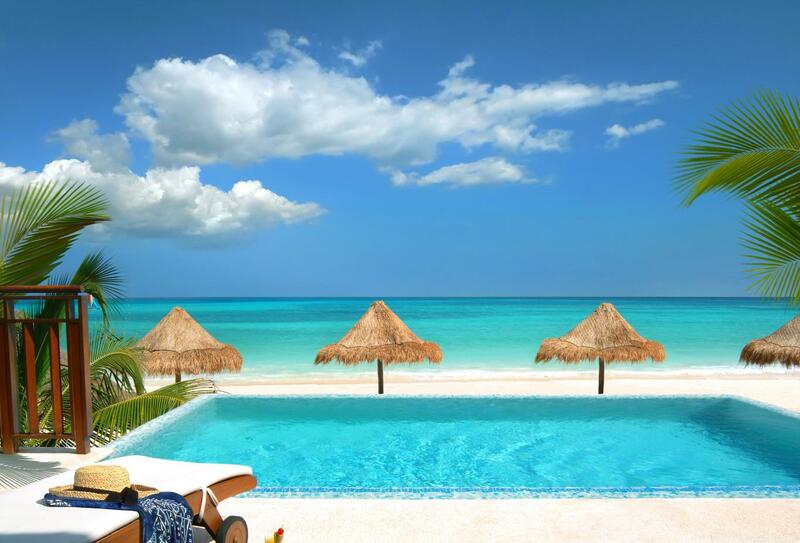 The Fairmont Mayakoba is at the centre of a luxury, gated community, spanning an impressive 45 acres and is designed around a network of crystal clear waterways and tropical land. 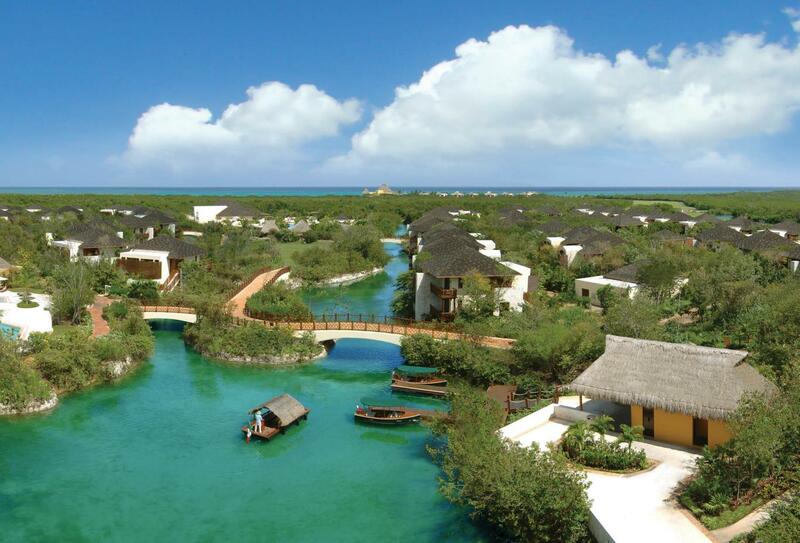 Guests will enjoy an eco-friendly experience where transport is limited to boats, golf carts and bicycles, which can be rented and taken down to the beach for spectacular scenic views. 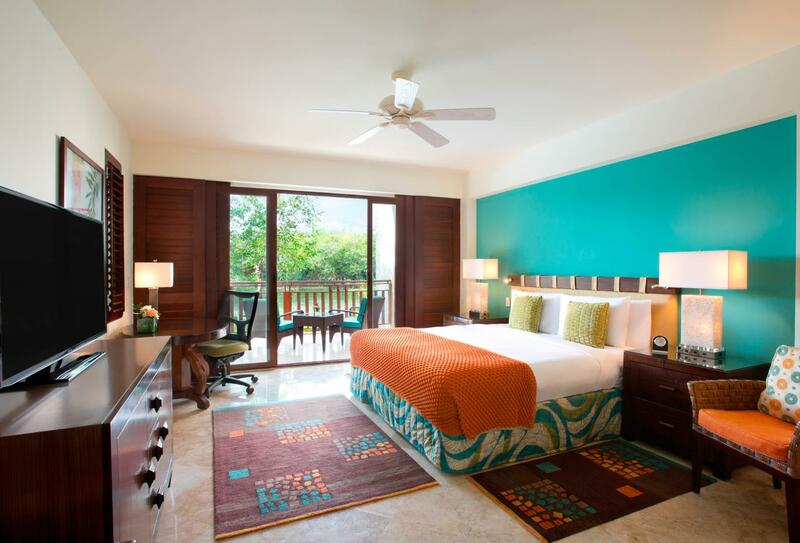 Sheltered under the forest canopy, this delicate resort features a range of lavish rooms and suites, some with private pool, as well as an abundance of activites, including an 18-hole golf course, nature trails and children’s clubs. 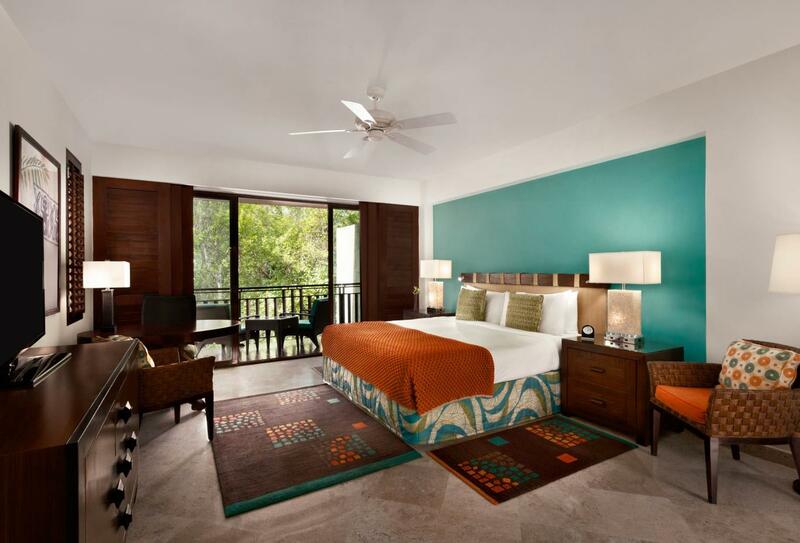 Simple and elegant, the Fairmont Rooms embrace the lush surrounding they are amongst with floor to ceiling windows exposing the private terrace or balcony out to the Mayakoba greenery. 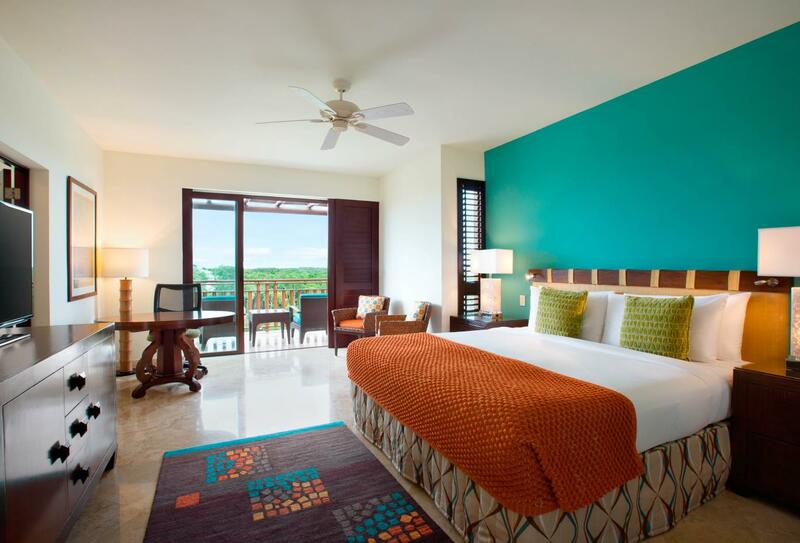 Stylish and contemporary, the Fairmont View Rooms embrace the lush surrounding they are amongst with floor to ceiling windows, exposing the private terrace or balcony out to bamboo pool or lagoon views. 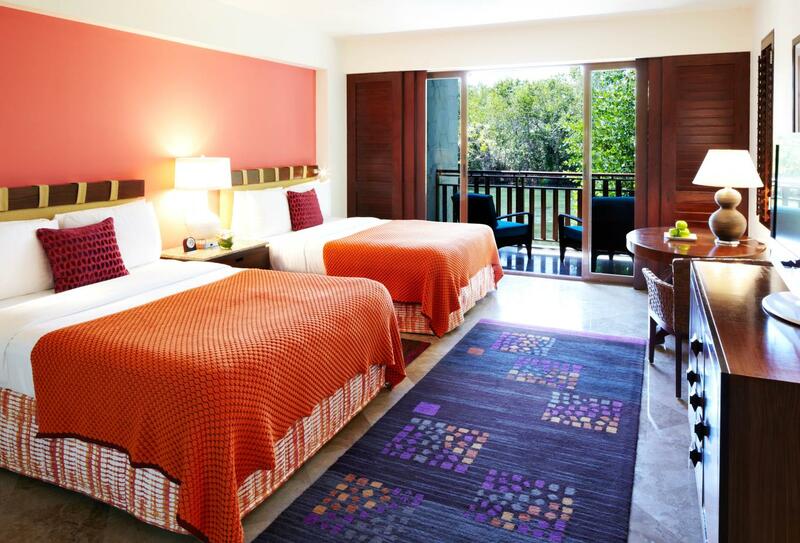 Spacious and stylish, the Deluxe Casita Rooms highlight the awe inspiring forest with floor to ceiling windows opening to a private terrace or balcony from which to admire the scenery. 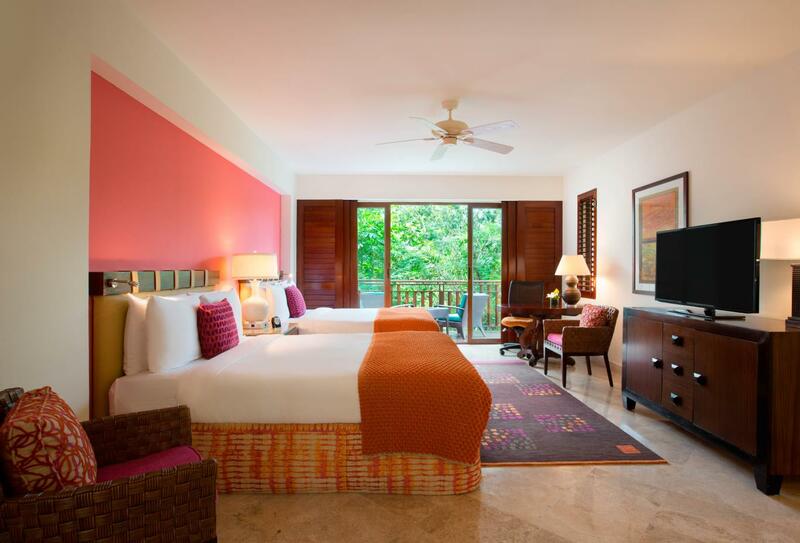 Plush and luxurious, the Signature Casita Rooms offer guests extraordinary views featuring tropical water and lush forestry. 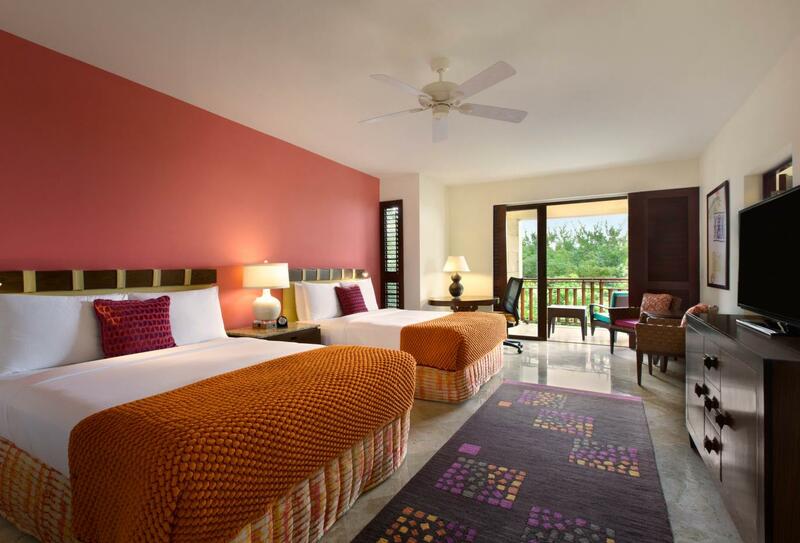 Situated in the private area of the resort, these opulent rooms feature tropical forest surroundings and butler service while being just steps away from the beach. 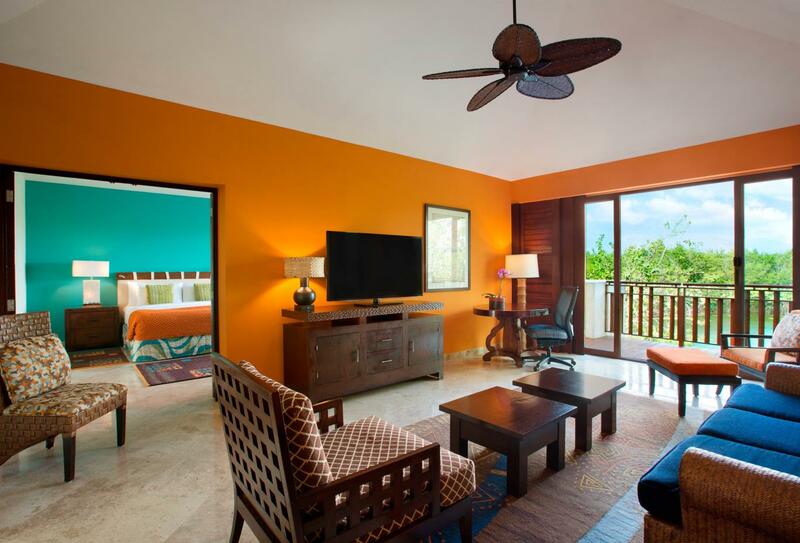 Distinguished by the incredible panoramic views across the lagoons and canals, the Signature Casita Suites feature traditional design and décor with a luxurious and modern twist. 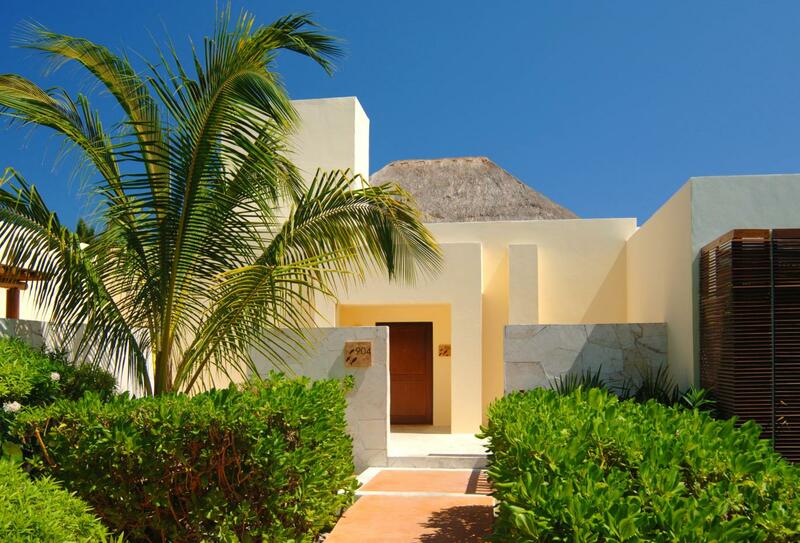 Elegant and luxurious, the Ocean Front Casitas feature a heavenly private staircase descending to the powdery, white beach below. 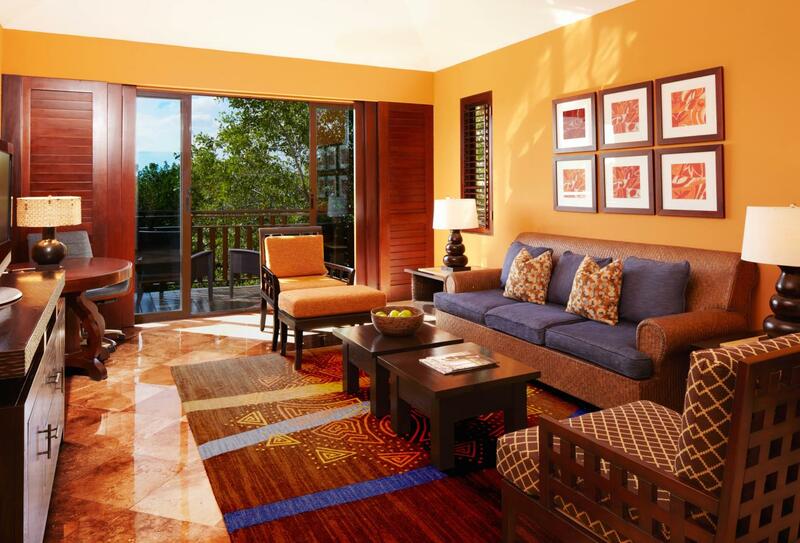 Complete with an exclusive and private roof terrace and wrap around balcony, these suites display the best of the Fairmont Mayakoba resort. 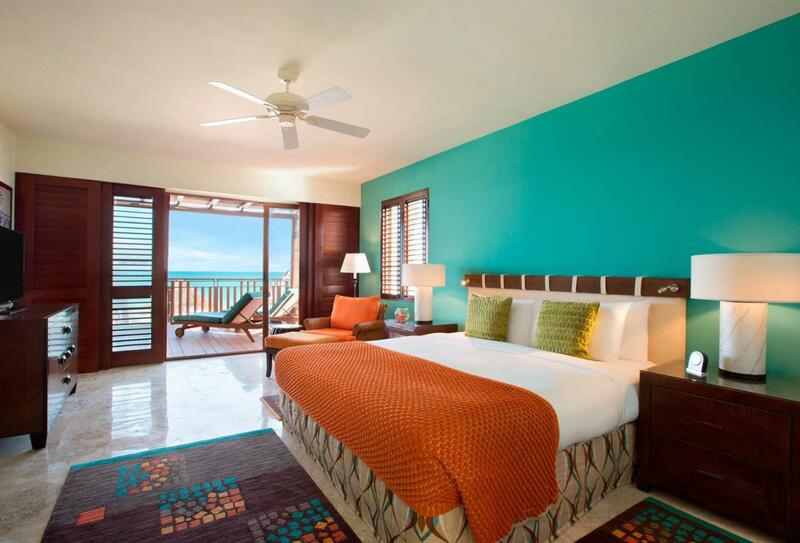 These elegant suites, accessed via a private stairway feature high ceilings and classic interiors, with the sophistication continued onto the private terrace with stunning ocean views. 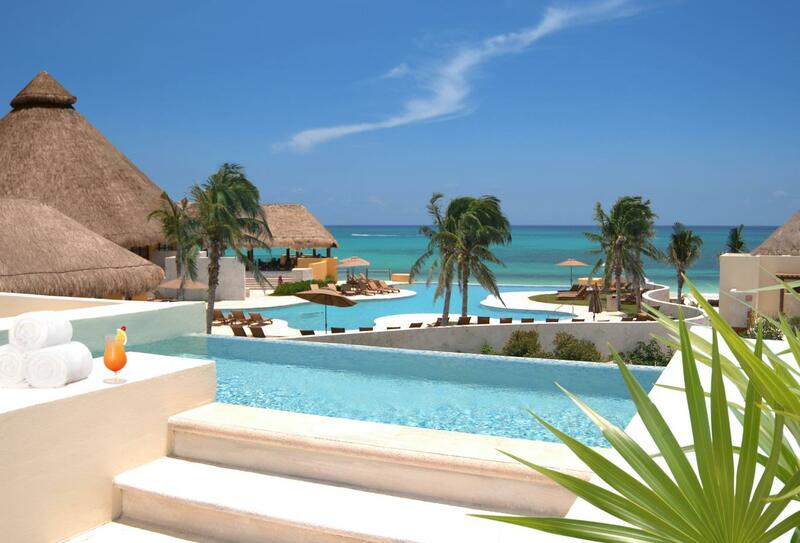 Fairmont Mayakoba offers this extensive Appetite for Luxury All Inclusive package which includes the following. Please request honeymoon amenity at time of reservation. Offer subject to changes and availability. Travel window 6 January 2016 – 16 December 2016. 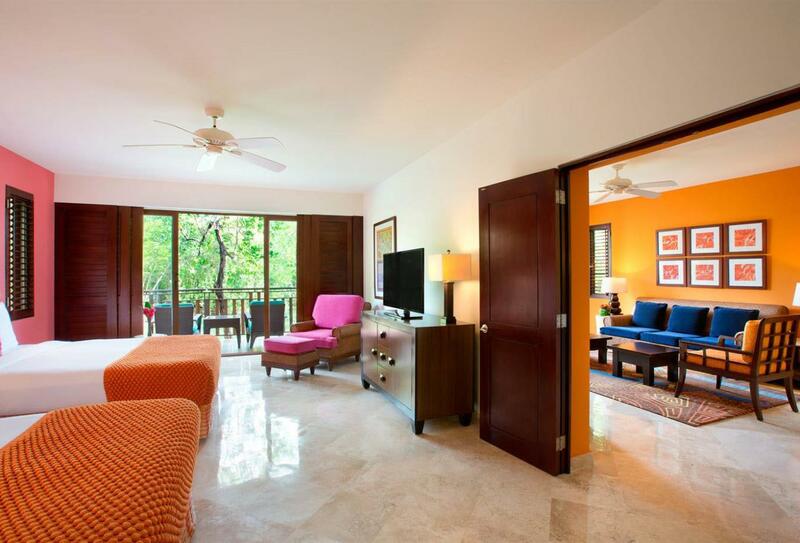 Under the forest canopy and through the tropical landscape, the El Camaleon Golf Course in Playa del Carmen is perfect for golf enthusiasts of all skill levels. Designed by Greg Norman, the course winds through sand dunes, fairways lined with mangroves, distinctive hazards, and passed lagoons. Relax and unwind with the Willow Steam Spa’s signature treatments, incorporating indigenous ingredients and ancient native traditions. Open 07:45-20:30. Please note, access to the spa and treatments will incur an additional charge. All-inclusive - please see All-inclusive section for more details. This beachfront restaurant offers coastal Latin cuisine, blending traditional Latin recipes with global spices and flavours. Fresh seafood and delicious grills may be enjoyed in the indoor or outdoor dining areas. Open for breakfast 08:00-11:00, lunch 11:30-17:00 and dinner Monday-Saturday 18:00-23:00. Ideal for a relaxing meal with friends or family, the El Puerto restaurant serves freshly prepared, tasty sharing dishes, accompanied by an extensive wine and spirit menu. Open Tuesday-Sunday, 18:00-23:00. 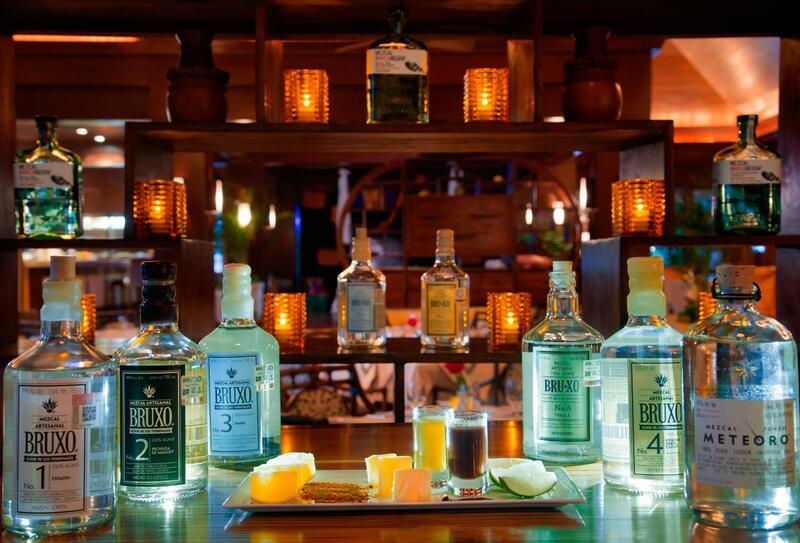 Serving contemporary Mexican cuisine and spirits at the tequila bar, La Laguna is located next to the main pool area in a charming location. Serving buffet and a la carte menu, the restaurant is open for breakfast, lunch and dinner. Open 07:00-23:00. From tropical, handcrafted cocktails to refreshing soft drinks and juices, Las Olas is inspired by the water canals that frame the resort and is situated by the pool, along with Aqua Swim-Up Bar. Open 10:00-18:00. For small snacks, appetisers and hot teas and coffees, El Lobby Lounge is a comfortable rest area during the day, and a relaxed bar for martinis and premium spirits by night. Open 05:00-07:00, and 11:00-01:00. Classic deli favourites, gourmet coffees, delicious pastries and refreshing ice cream are on offer at Café Maya, which also stocks supplies for your room, if required. Here, guests may also pick up quaint souvenirs and hotel pottery. Open 07:00-21:00. Located in the entertainment area, El Cafecito is ideal for unwinding with a fresh cup of coffee and a delectable sweet treat. 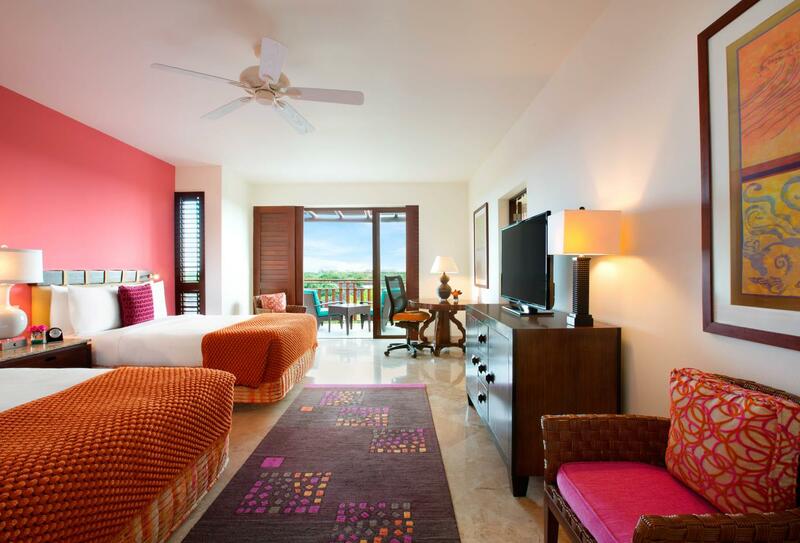 Ideally situated on the east coast near Playa del Carmen, Fairmont Mayakoba is within easy reach of nearby attractions, as well as its closest airport, Cancun International Airport. 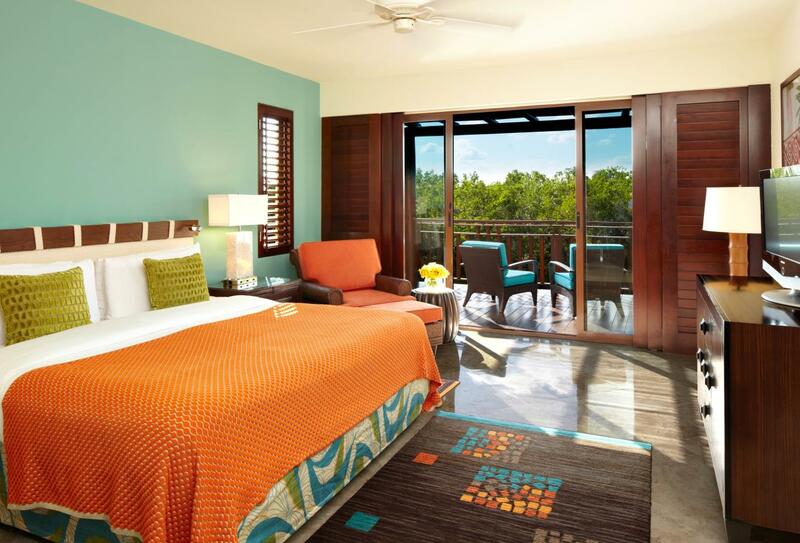 Families are welcome at Fairmont Mayakoba, and well accommodated with a range of leisure facilities and services.